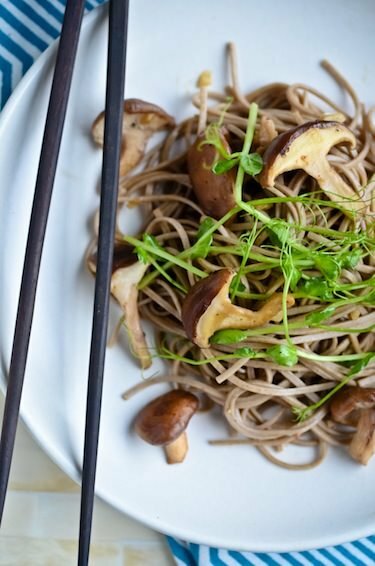 Pasta doesn’t have to be a thing of the past when you combine soba noodles and rich meaty shitake mushrooms with a sweet salty soy dressing. Pasta is not really the problem, it’s usually all the meat and cheese that we pile on top of it that gets us in trouble when we hit the scale. As much as I love a plate of pasta with a rich creamy sauce I know that I can’t indulge very often. That’s where turning to other cultures can be such an inspiration. Japanese food is something that I’ve been surrounded by my whole life. My mother is from Okinawa and even though she always cooked macaroni and cheese and meatloaf for the rest of the family I have developed a love for the ingredients and cooking styles she usually reserved for herself. 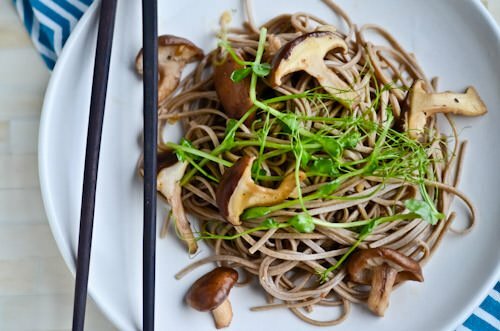 I always thought it was a treat in the summer when she would make a delicious dashi stock and me and my sister would slurp ice cold noodles through our chopsticks on a hot summer day. This is the kind of dish that I know she would like, simple, fast and not too fussy. This one’s for you mom, I hope you like it. Heat the olive oil in a large skillet over medium heat. 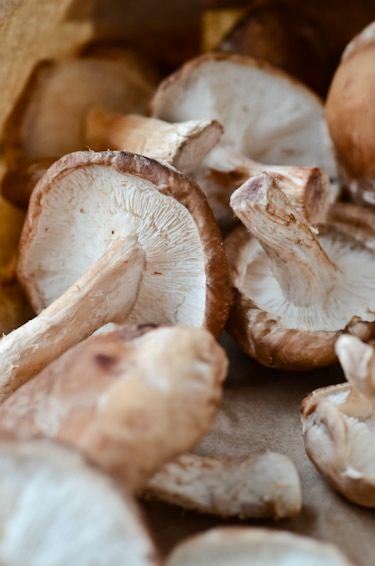 Add the garlic and mushrooms to the pan and saute until the mushrooms release their liquid and have softened about 4-5 minutes. 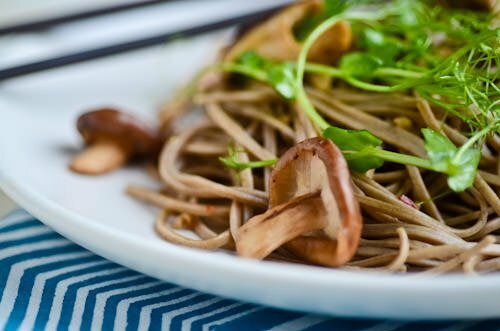 Transfer to a bowl and set aside while you prepare the noodles. Bring a large pot of water to a boil and cook noodles according to package instructions. 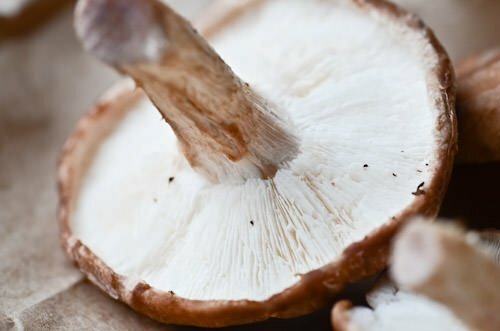 Drain and toss in bowl with mushrooms. 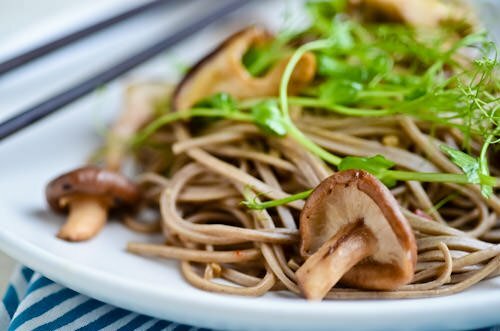 Whisk together the soy sauce, vinegar, sriacha and sesame oil and then add to the bowl with the soba and mushrooms. Garnish with the pea shoots and serve.